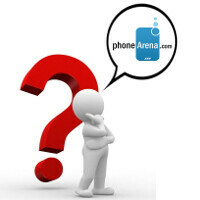 The time has come for us to issue our second PhoneArena Knows Best post, and here it is - with a new set of questions eager to be answered. Which AT&T phone to get? Galaxy Note, but I would be really interested in the Nokia 900, however I am not a fan of the limited amount of storage and no SD card option. Should I continue waiting until something better comes along? Or just jump on one of the fantastic Samsung devices? Hi, Nickolas! Currently, there are a number of pretty good handsets available through AT&T, so, thankfully, you don't have to wait. The Lumia 900 has 16GB of internal memory, which should be more than enough for most things. However, in case you actually need more, either of the Galaxy smartphones you mentioned will get the job done extremely well. Personally, we'd go for the Galaxy S II Skyrocket, since it is not too big and still provides wonderful user experience. Choosing between the Lumia 900 and Galaxy S II Skyrocket, however, is something we would leave to you, because it entirely depends on your personal needs and preferences. Both devices are very powerful, the Lumia 900 offers a simpler, more straightforward UI, while the Galaxy S II Skyrocket is much more tweakable. Verizon Galaxy Nexus dropping calls while on LTE... should I trade it for a RAZR or Rezound? Patrick Kim: So I have been a proud owner of a Galaxy Nexus for a little over a month now but I find that I can't use the 4g radios without having my calls dropped and losing connection every 10 minutes! I love this phone but I need a phone that works. I'm not sure if the radios can be fixed via OTA updates so I'm hesitant on trading it for a RAZR or Rezound. I'd be losing out on a lot of my cash if I were to do this seeing as how the Galaxy Nexus was 100$ above the Rezound and Razr when I purchased this phone. What do you advice that I do! Hi, Patrick! Perhaps you should first turn to Verizon's customer support and seek for assistance in getting this issue resolved. It might turn our that your handset is defective, and they might replace it with another unit, which has no such problems. There's a number of users who have shared that they are experiencing similar issues with their Galaxy Nexus phones, but it sure doesn't seem like the whole model is messed up. That's our first advice. However, in the unfortunate event of Verizon failing to resolve the issue, it might be best to end this frustration and trade it for a different model. We can't actually tell you which of the two models, the RAZR or the Rezound, is overall better, because it depends on what you need. If you like the Motorola user interface more, and don't need an HD screen that much - this might be the better choice. On the other hand, the Rezound is a pretty stable phone, with an HD screen and HTC's acclaimed Sense UI, so you wouldn't go wrong with it as well. But, before you decide on making another purchase, you absolutely should first contact Verizon's customer support and explain your problem. Which smartphone OS is best for business? My name is George Karpoutzakis and i am from Greece. I am used to Microsoft outlook on a laptop for sending and receiving business e-mails, but now i want to transfer all that on a phone to speed up my work, what is your suggestion for buying a suitable phone for me?? Android - WP - iPhone perhaps??? Great job with the site guys keep it up!!!! Yours sincerely George Karpoutzakis from the beautiful and exciting Greece!! Hey, Giorgos! All of the platforms that you mentioned are perfectly capable of taking care of email and many other business-oriented stuff. However, if possible, in case you decide on choosing an Android smartphone, make sure that you get a decent one, because many of the lower-end models do not offer a really pleasant user experience. Basically, things stand like that: Android gives you the most possibilities to tweak the UI, and gives you the freedom to do lots of different stuff with the handset - similarly a PC. Windows Phone has an excellent built-in email client, Office support, and provides a pretty good user experience (by this we mean that the phone runs very smoothly, doesn't lag, almost everything with regards to its functionality is well made). The good thing here is that no matter which Windows Phone model you get, you'll get an almost equally good performance. The iPhone is also an excellent choice - if you haven't used a smartphone until now, you'll probably find using the iPhone to be the easiest. It's also very good for email, and provides access to a vast catalog of high-quality applications. However, with it you won't find stuff like Torrent clients, for example, which are otherwise available on Android. Are there limitations with Windows Phone in unsupported countries? Thanks in advance and I’m sure many a user will be happy with this new service offering. Hi, Ibrahim! Since Egypt isn't on the list of supported countries, you'll be able to download only the free applications, but won't have access to the paid ones. Whether you'll be receiving software updates depends on where you've bought the phone from. In case you purchase it unlocked, full price, then we believe you should be getting updates. Unfortunately, Windows Phone 7 still doesn't support the Arabic font, but the Microsoft team is currently working on adding it. Right now, it is expected to become available sometime in the second half of 2012. Lonnie Monreal: Has HTC II Windows 8 Cellphone been released? I'm liking this new topic. Keep it goin! I thought the Lumia 900 was only coming with 16GB of memory? In the response to the first question they say it is coming with 32, is this correct? You sir are right! It's 16GB - corrected it. questions like Lonnie's shouldn't even be aired. Well unless that's ALL the questions you had for this week.